Abingdon is a small town in rural Oxfordshire that is tucked into the confluence of the River Thames and the River Ock. 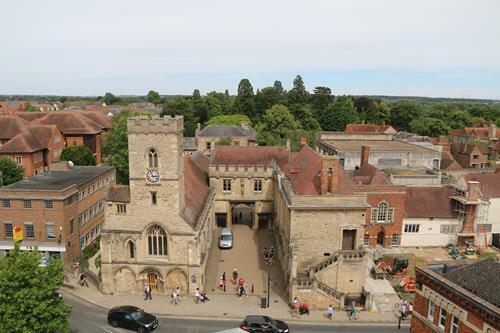 It is a pretty town of medieval Abbey ruins, half timbered houses and a stone bridge and has a strong claim to be oldest continually inhabited settlement in England with archaeological evidence of an ongoing population here from the Iron Age onwards. Unlike other places which have periods of abandonment, here one period of history seems to blend into the next – Iron Age to Roman, Roman to Saxon and on into Medieval period. This then generates two questions. Who was Aebba and where is the hill? You see, Abingdon stands in a valley. It is right next to the River Thames and certainly not on a hill. So how did the town come by its name? To try and answer this we have to delve into legends, myths and what exist of records relating to the founding of an Abbey in this town as well as to the earliest years of Anglo-Saxon Britain. Amongst the early manuscripts and charters recorded by the monks of Abingdon several survive in the volumes of the Cotton Manuscripts now in the British Library. 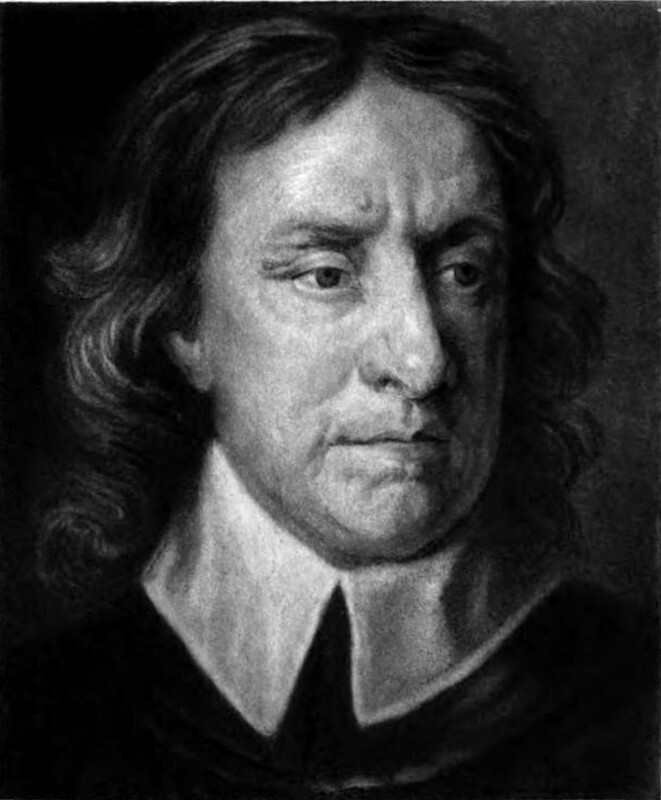 Cotton was a 16th to 17th century collector whose Library preserved many of the early documents that are critical evidence in piecing together these earlier years. Many of the Cotton Manuscripts were named after Emperors. One of the manuscripts named after Claudius -Claudius C tells us about the founding of an Abbey at Abingdon in the 7th century. 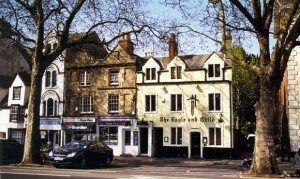 The Abbey was founded by a certain Hean under the supervision of a sub king of Wessex called Cissa who was uncle to Hean. The Abbey was founded circa 680 A.D. The Abbey was later sacked by the Vikings but then in 954 King Eadred appointed Æthelwold, as abbot. He was a very significant figures in the English Benedictine Reform, and so under his leadership Abingdon became one of the most important Abbeys in England. 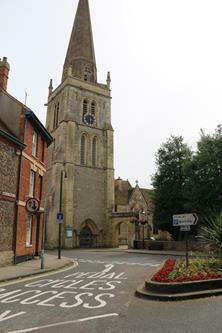 Here it was that the Chronicle of the Monastery of Abingdon was written in the 12th century. Most of what we know including the Cotton manuscripts comes originally from that chronicle. The chronicles record the history of the Abbey very well from the 10th century but the original founding of the abbey and how the town got its name requires us to dig a bit deeper. 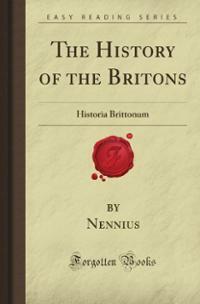 There is a tale recorded in 9th century Historia Brittonum attributed to the Welsh historian Nennius and later elaborated upon by Geoffrey of Monnouth in his 12th century Historia regum Britanniae (The History of the Kings of Britain). The historical reliability of these accounts is debatable – particularly in the case of Monmouth’s work which is basically historical fiction. Never -the-less given the paucity of documentation these are all we have to go on for some of the event. 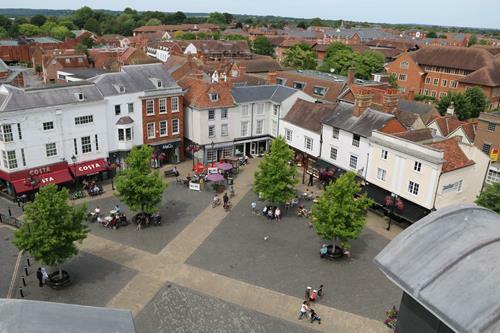 The sections relevant to Abingdon relate to the so called ‘Treachery of the long Knives’ or the ‘Night of the Long Knives’ which was an occasion when Hengist and the first Saxon lords to come to Britain were invited to dine with Vortigern, High King of Britain. The Saxons were invited in peace but each took a knife hidden upon them. When the British were drunk, Hengist called on his men to pull out their blades and the result was the massacre of the nobles and leaders of the British. Vortigern was spared both as he was married to Hengist’s daughter and probably in order to be ransomed. Another account in another manuscript about the founding of Abingdon Abbey talks about a monastery being founded by an Irish monk called Aben who came to the area “before the Saxons came to Britain”. Whether our man is a British nobleman or an Irish Monk we have a man called Aebba or Aben coming to the area and setting up a retreat or monastery around the time the first Saxons are coming to Britain – so some time in the 5th century. So if we have the origins of the Aebba or Aben in Abingdon, what then of the hill? Where did that come from? Abingdon lies on a flat valley bottom along the Thames with no obvious hill close at hand. Berkshire, and its Abbey, Medieval Archaeology XII, 26-6. It is now believed that a hill once called Abbendum can be identified as Boars Hill some miles north and west of Abingdon. I visited the hill recently. Apparently in the last century or so the formerly bare hill side which afforded great sweeping views across the countryside has become a popular location for building on and along with the buildings have come trees. Thus it is difficult to both see the hill and get an idea what it would have one looked like. 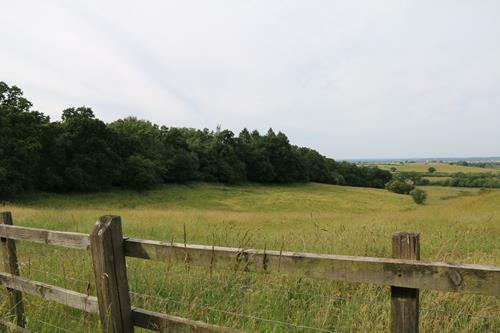 We did locate a mound built on Boars Hill to allow views across the area but alas the view is blocked by trees! It is still pleasant area for a walk on a walk summer’s day however. If a man called Aebba came to a hill now called Boar’s Hill in what is now Oxfordshire and made a monastery there and left his name as the name of the hill – Abbendun, how did that become the name of a town a few miles away? This raises another question. What in fact was the settlement called originally? There is a manuscript (MSS 933) at Trinity College Cambridge which contains entries about the year 688 which refer to the foundation of the Abbey at Abingdon. This talks about Hean under Cissa’s command bringing the abbey of Abbendun down from a hill to a village called Souekesham. Can we be sure that Abingdon was once called Souekesham? Souekesham would mean the dwelling of a person called Soueke. There is another other place name in the area with a similar origin – the modern day Seacourt (Old English Seuecurda) – so maybe evidence of a couple of locations named after the same figure. Maybe Soueke was a 5th century Saxon who settled in the area. We know from the archaeology of the Saxton Road side at Abingdon that this place was settled by Saxons as early as the mid 5th century. 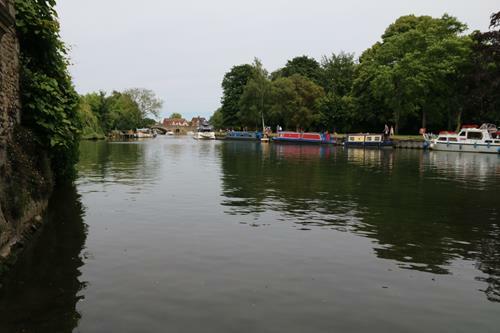 the Thames river provided an easy route for Saxons to migrate into the heart of Britain and many Thames valley locations show early evidence of this settlement. The evidence of St Helens. Cotton Claudius C and Cotton Vitellius A tell of the founding of not just a single monastery but a joint monastery and nunnery. Hean was to found the monastery and his sister – a certain Cilla a nunnery. The name for the site of the nunnery was Helenstowe. Cilla is recorded as having made a small black cross of iron made (from one of the nails from the true cross) and was to be buried with it. Aethelwold’s monks digging in the area of what today is called St Helen’s church in Abingdon were supposed to have found the cross so it seems that Cilla built here nunnery on eth spot of what today is the church of St Helen’s and Hean his monastery or Abbey were the medieval Abbey would later stand. So the story might go like this – a man called Aebba fleeing from the masacare of the long knives, or alternatively an Irish monk called Aben come to a remote hill in Oxfordshire in the 5th century and found a retreat or monastery. In time it is named after him. Thus Abbendum is named. Two centuries later a brother and sister are given instructions to found a joint monastery and a nunnery in the area. There is already perhaps a religious community at Abbendum of sufficient significance for Hean to want to use the name. Yet the location is not ideal. A small river side village nearby called Souekesham is far better suited. There is a river for a mill and fish aplenty. There is space for both his sister’s nunnery and his monastery there. So the existing name was taken and in time Souekesham as a name passed into legend and was forgotten – preserved only in an ancient manuscript in the early records of the Abbey. Souekesham took the name Abbendum which in that form or as Abingdon is now the name it has been known as for over 13 centuries. I find these origin stories of places fascinating. Often we walk about seeing names of places and are unaware what the story is behind them. What’s in a name? Often quite a lot. The period of history around the late 6th and early 7th Century could be referred to as the ‘darkest years of the darkages’ for the documentation of events at these times is sketchy and incomplete. The writer of historical fiction set in this period must become a detective themselves and solve the mysteries of the past or at least come up with a plausible interpretation of events. 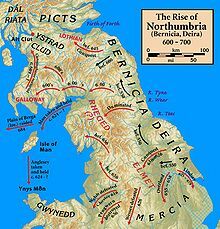 An example of just such a mystery is that of the relations between the two Kingdoms of Bernicia and Deira that become the Kingdom of Northumbria – the most powerful kingdom in Britain in the late 7th century. Bernicia was located around Bamburgh and Lindisfarne and its dynasty included a King Ida, who had a son (amongst many): Aethelric who in turn had a son called Aethelfrith. Deira was located in Yorkshire and along the Humbar and had a powerful king called Aelle who had a son called Edwin. What we do know is that out of a dynasty of warrior kings of the northern kingdom of Bernicia, Aethelfrith emerges and conquers or absorbs the southern kingdom of Deria (Aelle by now was dead), marries its princess, Acha and sends its prince, Edwin into Exile. Edwin wanders the southern kingdoms for years and then returns from exile some considerable time later and takes back his throne from the usurper around 617 AD. Edwin himself dies in battle around 632 and Aethelfrith’s sons return and retake Northumbria. Its a fascinating ding-dong story of fluctuating fortunes. Within that skeleton though there are two versions of history that MIGHT have happened. Aethelric of Bernicia succeeeds Aelle about 588 and he or his son Aethelfrith annexes Bernicia. Prince Edwin (probably only age 3 or maybe 8 goes into exile for 29 years). Aethelric of Bernicia’s son Aethelfrith succeeds him to the throne of Bernicia ONLY in 593. He later invades Deira circa 603 to 605 AD, possibly kills the king (who may have been also called Aethelric – but this time Aethelric of of Deira) and rules all of Northumbria for 12 years before Edwin takes it back. This would mean Edwin goes into exile as a teenager aged about 18 or so and spends maybe 13 to 14 years in exile. In his recent The King of the North biography of Oswald, Max Adams plumps for Version A having Edwin go off into exile around 590. (This is a good account of Oswalds life btw and well worth the read). I personally however favour Version B.
A.D. 560. This year Ceawlin undertook the government of the West-Saxons; and Ella, on the death of Ida, that of the Northumbrians; each of whom reigned thirty winters. A.D. 588. This year died King Ella; and Ethelric reigned after him five years. A.D. 593. This year Ethelfrith succeeded to the kingdom of the Northumbrians. He was the son of Ethelric; Ethelric of Ida. OK so that seems nice and clear. The Anglo-Saxon Chronicle has an Alla (Aelle) replaced by an Ethelric who is succeeded in turn by his son. It fits VERSION A of history nicely. If we don’t dig any deeper our job is done and we can all get home for tea and crumpets. But I guess we we will see what Bede has to say. He [Pope Gregory] sent to Britain Augustine, Mellitus and John, and many others, with God-fearing monks with them, to convert the English to Christ. However, the people of the Angles north of the river Humber, under Kings Aelle and Aethelfrith, did not at this time hear the Word of life. –Bede, On the Reckoning of Time, Chapter 66. So in 597 Aelle was still alive. If Bede is right he did not die in 588 then which contradicts the Anglo-Saxon Chronicle. He is alive and moreover is still a King and ruling in Deira. If that is the case what was Aethelfrith doing? He could not ALSO be ruling Deira. Now Aethelfrith (Eadfered) dies about 616/617 (Bede tells us this elsewhere) so working backwards he ruled Deira AND Bernicia from about 604 or 605 and before then was only ruling the northern bit of Northumbria – Bernicia. The plot thickens when you consult the Historia Britonum about the genealogy of the Kings of Bernicia. Ida had twelve sons, Adda, Belric Theodric, Thelric, Theodhere, Osmer, and one queen Bearnoch, Ealric. Ethelric begat Ethelfrid: the same is Aedlfred Flesaur. Adda, son of Ida, reigned eight years; Ethelric, son of Adda, reigned four years. Theodoric, son of Ida, reigned seven years. Freothwulf reigned six years. Hussa reigned seven years. Where on earth do all these Kings fit in to VERSION A. The short answer is there do not. VERSION A of history is essentially the version based mostly on the Anglo Saxon Chronicle. The problem is that the ASC was written in the reign of Alfred the Great three hundred years after the time it is referring to. By that time the Vikings had destroyed Northumbria and many of its records. The monks compiling the ASC look like they tried to simplify matters and merged the chronologies of Deira and Bernicia and the royal genealogies blurring the issue. They essentially assumed that Aelle was rulling all of Norththumbria and in turn his successors Aethelric of Bernicia and Aelethfrith were also ruling the whole show. Fortunately we have primary sources closer to events in Bede and Nennius to go to. 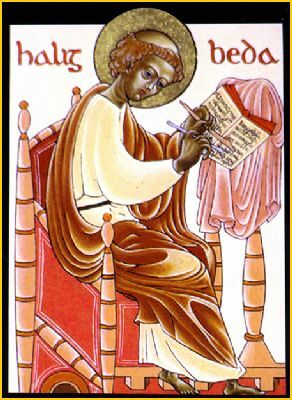 Bede was writing only a hundred years after the events, Nennius two hundred years afterwards and both before the Viking’s changed the face of Northumbria. They show us that the whole situation is much more complex than the ASC records. Whilst Aelle is rulling Deira for probably 30 years, carving out a Kingdom in Yorkshire the Bernicians go through a whole dynasty of kings as they too fight and claw a kingdom together against the might of Owain and Urien of Rheged (but that is a whole other story). What they give us are facts that allow for a VERSION B which relies upon their having been a second King Aethelric in DEIRA as well as the one in Bernicia. This Deiran Aethelric succeeded Aelle perhaps a year or two AFTER the Augustine mission came to Britain. If he ruled for 5 years that brings us conveniently to about 604/605. The facts fit much better. So in Bernicia Aethelric of Bericia the son of Ida is (eventually and after a few other kings)succeeded by Aethelfrith who for 12 years rules Bernicia alone and then in 604/5 he takes over Deira possibly killing Aethelric of DEIRA and sending young Edwin into Exile. A)Aelle probably had more than 1 son. Aethelric might have been an older brother to Edwin. Edwin certainly had a nephew Hereric who must have come from somewhere. B)He might have been a brother of Aelle. Aelle did have a brother Aelfric, who is mentioned by Bede. Maybe he had another brother. C)He may he been a more distant relative eg a cousin or even a total outsider who stepped in to rule after Aelle died when Edwin was too young to be king. What sort of a man was Aethelric of Deira? Well William of Malmesbury speaks of Aethelric ‘son of Ida” as being a pitiful, elderly man and shadow of the glory of Aethelfrith his son.This seems at odds with other descriptions of Aethelric of Bernicia as being possibly the man the British called Firebrand, a fierce warrior lord and opponent of Urien and Owain of Rheged who drove his armies deep into the British lands and is remembered in Welsh Poetry centuries later. Again here we must remember that Malmesbury is writing his history five hundred years after the events and probably reliant at least partially on the ASC. I think Malmesbury might have confused WHO he was talking about. I think his description is much more likely to be applicable to Aethelric of Deira: a man who succeeded Aelle after his predecessor’s long and glorious reign and perhaps was never suited to kingship. Certainly it seems he could do little to halt the expansion of the ambitious Aethefrith of Bernicia who it seems either dominated him politically or, most likely, killed him and took his throne, sending his younger brother, Edwin into exile. This is the version of history that I follow in the Northern Crown Series. Richard Denning is a historical fiction author whose main period of interest is the Early Anglo-Saxon Era. His Northern Crown series explores the late 6th and early 7th centuries through the eyes of a young Saxon lord. Explore the darkest years of the dark ages with Cerdic. This decade saw the country slipping more and more into a financial mess. This was due to incompetence and self serving amongst James’Â advisers. Tensions between pro catholic and pro protestant parties began to grow as well as the feeling that the King was under too much influence of a group of Catholic nobles. 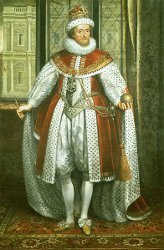 With the finances of the nation getting worse, James summoned Parliament in 1610 and asked it to grant him money. In this period a monarch ruled the country and decided on foriegn policy BUT only had finite finacial resources. If the nations finances were poor or if they needed to go to war a King or Queen would summon Parlaiment who could then pass legislation to raise taxes. In an attempt to persuade them to do this Salisbury (Cecil) tried to negotiate finance in exchange for some concessions from the crown. 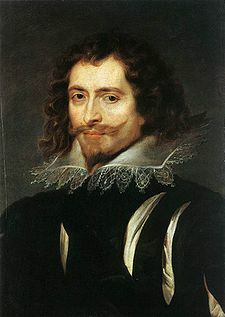 Negotiations did not go well and in the end JamesÂ dissolvedÂ parliament.Â In 1614 there was another attempt to persuadeÂ parliamentÂ to grant him money but again this wasÂ unsuccessful.Â DismissingÂ it after a mere 8 weeks, JamesÂ governedÂ withoutÂ parliament until 1621 by selling Earldoms and other gifts in exchange for finance from nobles andÂ businessmen. One area where James had success was in foreign trade. The East India Company was already in existence but James sent tradeÂ delegationsÂ to Japan and in 1613 managed to establish rights to tradeÂ directlyÂ with Japan. After the Gunpowder plot James cracked down onÂ religiousÂ dissent. This policy was applied both to Catholics and non conformist protestants. Individuals who refused to swear an oath ofÂ allegianceÂ implying the pope had no authority were liable to prosecution. Those who took the oath however were tolerated particularly as the years went by and when the Howard party gained influence. In Scotland James tried to enforce the English system of Bishops on the Scots. Although in 1618 the Bishops forced through his Five Articles of Perth the changes were widely opposed and in thisÂ issue lay the seed for dispute between King and the church in Scotland that would come back to bite James’ son Charles in the future. The one high point of James’ reign as regards religion was the attempt to sort out various errors and conflictsÂ amountingÂ from previous translations of the bible. 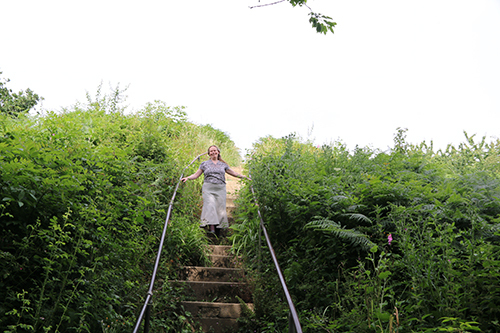 These steps led to the publication of the King James Bible in 1611 which is still in widespread use today and considered a masterpiece. James was married and had many children. Yet rumours abounded of homosexuality. Part of this was because he showedÂ littleÂ inclination to military pursuits – followed Â a policy of peace with Spain and enjoyedÂ academicÂ pursuits. This is Â shown in the witty phrase that did the rounds:Â Rex fuit Elizabeth, nunc est regina Jacobus(Elizabeth was King, now James is Queen)Â There is however some evidence of very close relations between James and Carr, and James and Villers. 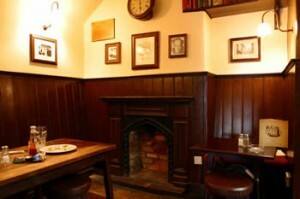 There was even a secretÂ passageÂ linking the later two bed chambers. Robert Carr was a handsome and charming young nobleman when he came to London in 1601 accompanied by his closeÂ friendÂ Overy. Â Carr was injured in a joust and caught the eye of the king in 1606 and soon was drawn into the royal court. (Possibly this injury might have been staged to draw the King’s attention) Very soon he was a closeÂ friendÂ and advisor to James. There are even rumours (see above) that James and he were lovers. 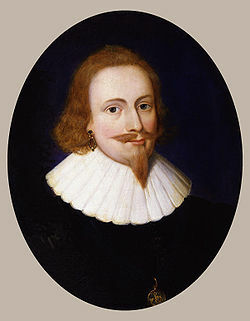 Until 1612 Robert Cecil – Lord Salisbury – administered the king’s court fairly efficiently. The problems began when Cecil died.Â JamesÂ attempted to rule on his own but proved incapable of this. This left a power vacuum into which stepped the Howard Party and Robert Carr. The Howard Party consisted of a group of generally catholic nobles who advocated alliance with spain and a marriage of Prince Charles to the Spanish Infanta. Â They drew Robert Carr into their circle when Carr began an affair with Franes Howard – wife of the Earl of Essex. Such was the influence that Carr had over James that the king arranged a divorce for FrancesÂ so thatÂ Carr and she could marry. Robert Carr was soon appointed James’ chief advisor – a role he was unfit for. Thus he relied upon hisÂ friendÂ Overy to help with the administration. That was fine until Carr’s affair with Frances came to Overy’s attention. Thomas Overy was a talented administrator who became closeÂ friendsÂ with Robert Carr and may have been instrumental in his rise to power. Although Carr held the reigns of power it was Overy who Carr relied on to help him with administration. The Friendship came under immense strain when Overy found out about Carr’s affair with Frances Howard. Overy was opposed to this and even wrote a poem called The Wife in which he spoke of the virtues expected in a wife. This put him into direct conflictÂ withÂ Frances whoÂ manipulatedÂ matters so it appeared Overy had insulted the Queen. Overy was placed in the tower. 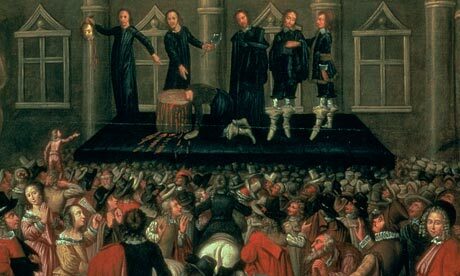 In 1613 he died in mysterious circumstances and Carr and Howard remained in favour with the king. In 1615 a Tower guard admitted that he has been taking poisoned food into Overy on the orders of Carr and Howard. Both were arrested and found guilty and kept in the Tower until 1622. For Carr the fall from power was complete. 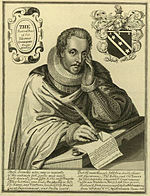 The Carr/Overy scandal had tarnished the reputation of the court and James turned to another close friend: Lord Villers. Â Villers had been aÂ friendÂ of James since the kings coronation and again there are rumours of a sexual relationship here. Â Villers became the figure behind which opposition to the Howard party and Carr focused and on theÂ downfallÂ of Carr, Villers managed to become the main advisor to King James. Villers started to extend his influnce over the young prince Charles as we enter the last few years of James’ reign. Towards the end of this decade a war began in central Europe whichÂ wouldÂ involve most of the continent in some form or other over three decades. Its causes were complex and many nation’s involvement were due to other factors than the root cause. Nevertheless there was a simplex origin to the conflict in theÂ beginning. The Holy Roman Emperor Matthias was coming to end of his life (he died in 1619). Matthias had nominated the catholic Ferdinand (Later Ferdinand II) as his heir. This was opposed by the majority of the protestantÂ CalvinistÂ andÂ LutheransÂ in Bohemia and Austria. These rose up in rebellion against Ferdinand. The Ottoman Empire – and enemy of the CatholicÂ HapsburgsÂ of which Ferdinand was a member joined the war. TheÂ fightingÂ raged back and forth but in 1619 Ferdinand was briefly deposed asÂ EmperorÂ in favour of the ProtestantÂ FrederickÂ V of the Palatinate. This war would have an effect felt in England. The Howard party and later Villers and James had been pursuing policies of friendship towards Catholic Spain BUT sentiment at home was anti-catholic and this war fuelled that feeling. Furhermore Frederick was James’ son in Law and thus he felt an obligation to try and do something to help.Â This would have a significant effect on the policies of James and Charles in the coming decade. The conflict between the will of the monarch and of parliament. Religious tensions between the established church and those who did not want rule by bishops both in England and Scotland. The Roman Emperor Vespasian died on this day in AD 79. The dynasty founded by Julius Caesar ended in AD 68 with the death of Nero. There followed a chaotic time in which there was briefly a Galba then an Ortho on the throne the later murdering the former and then in turn being defeated by Vitellius. Although Vitellius was in control of Rome as well as elite German and Gaulish legions, his Â rival, Vespasian soon gained the support of the legions of the eastern empire and Vespasian was able to defeat Vitellius and gain the throne. In contrast to many other Roman emperor’s Vespasian seems to have been a much more down to earth ordinary general, popular with his troops and not much interested in the trappings of power. 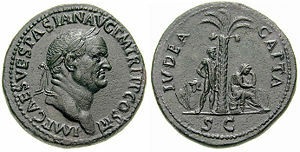 Vespasian first earned a reputation in Britain where he was responsible for conquest of much of the south under Claudius and it was this campaign that lead to a Triumph – the way Roman’s saluted a great general. Vespasian was appointed to suppress the Jewish revolt of AD 66 to 70 which he did with a firm hand but was considered even by the Jewish chronicler Josephus to have been fair and not just brutal. The Jewish revolt was still going on when Nero died and the empire was thrown into a year of 4 emperors eventually leading to Vespasian’s assent to power. Vespasian was a patron of the arts, sponsoring a number of writers and poets as well as building the Coliseum. Forced to raise taxes to balance the books left in disarray by Nero, one of the taxes he brought in was a tax on urine collection (urine was used in certain chemical processes) and as a result today Italians call urinals vespasiano after him. He was succeeded by his son Titus. So – as Roman Emperors go not a bad one. There is a nice series of historical fiction in which Vespasian is a regular participant. Simon Scarrow’s Eagle Series are recommended. On this day: June 13th 323 BC King Alexander the Great died of fever in Babylon. He was only 32 years old. 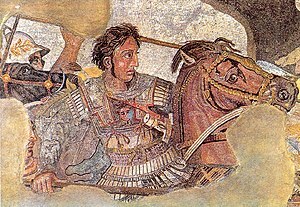 To me Alexander the Great is a perfect example of a man who seized the moment – he took the years he had and did something with them. What he did echoes down through the years even to this day. He was only 19 years old when his father Philip of Macedon was assassinated and Alexander inherited the throne of Macedon and the effective control of all of Greece. His father had forged a powerful alliance of most of the Greek City states. Alexander went on from that position. he took that power and within a couple of years left Greece on a campaign that he hoped would take him to the ends of the earth. What he would achieve would shake he ancient world. He was about to take on the most powerful Empire in the world at the time and defeat it in detail with a smaller force using tactical brilliance and sheer force of will. He now embarked on a series of remarkable campaigns that took him into Asia Minor, Syria, Egypt, Mesopotamia and eastwards to Persia. At last he over threw the mighty King Darius III and defeated the Persian Empire. He had now added vast swathes of territory to Greek domains but he was not yet done. He passed on into Afghanistan where even to day there are cities named after him. It was when he tried to invade India that his men revolted and refused to follow him any further. Then Alexander reportedly fell into a depression that he would never reach the ends of the earth. The following year whilst planning a campaign into Arabia he contracted a fever and died. If you like you can argue the modern view point that we should not glorify a military leader – that a man who conquered an empire and as such caused the deaths of thousands should not by held up as a symbol to be admired. But if you did argue that way, I am going to have to disagree with you. You see, to me Alexander is a man who was driven by the burning need to keep going, to get to that next hill, to win that next battle and above all to achieve things no one had previously done. That drive, that desire to make a mark, to try even if there was a risk of failure – that to me is the thing that I most admire about the man. Alexander features in my young teen time travel adventure Tomorrow’s Guardian. After the Romans left their province of Britannia, Britain entered a darkage. It would be centuries before the land we know today as England came into existence. 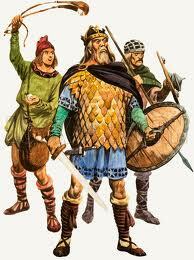 Germanic tribes – the ancestors of the English began migrating across the North Sea. The invading and colonising Angles who settled in the northeast in time would see the creation of the powerful kingdom of Northumbria. Its emergence as the dominant power in Britain for about a century, is critical in the path that would one day lead to the England we know today. This was the Kingdom of Bede, the great chronicler of the late 7th and early 8th century and author of Historia ecclesiastica gentis Anglorum: The Ecclesiastical History of the English People. It is also the land of the great kings, Edwin and Oswald, as well as the location of the Council of Whitby that established the form that the Christian church in England would take: a form that lasted more or less unchanged until Henry VIII broke away from Rome some 900 years later. Before Edwin and Oswald created this golden age, and made Northumbria briefly the most powerful of the old Saxon Kingdoms, one man: Edwin’s rival and Oswald’s father was the first to unify Northumbria. It was this powerful man who above all other put the Romano-British onto the back foot. This man was Aethelfrith the king of Bernicia and later of a united Northumbria. When Aethelfrith was born in Bernicia (the most northerly Saxon kingdom based around the Bamburgh and Lindisfarne area) he was probably a long way down the line of succession. The twenty years before he became king are very confusing and no less than four men including his father Aethelric and (probably) his uncles Hussa, Theodric and Frithuwulf are listed as ruling. What is clearer is that around 593 probably after civil war between various rivals Aethelfrith finally secured the throne. After becoming king Aethelfrith embarked on campaigns to extend his borders initially west and particularly northwards. 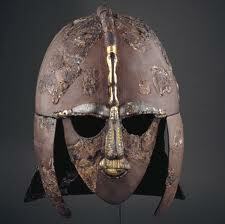 This brought him into conflict with the Britons of Rheged, Strathclyde and Manau Gododdin. It seems likely that this aggression provoked the British to unite and attack the Saxons at a place called Catraeth, now identified with Catterick in Yorkshire, in around 597 to 600 AD. The battle – recorded in the poem called Y Gododdin – was a disaster for the British and only increased Aethelfrith’s power. Further expansion west into what is now lowland Scotland provoked conflict with the Irish invaders of Dal Riata (who became the Scots). 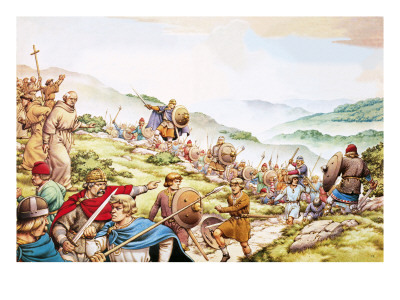 Aedann of Dal Riata lead a great army to oppose Aethelfrih but despite being outnumbered (apparently) Aethelfrith destroys this army at Degsastan in around 603. Degsastan now removed the threat on Bernicia’s north and west and so it seems that at this time Aethelfrith turned his eyes south to Deira (the other half of what will become Northumbria). It seems that a weak or possibly elderly king called Aethelric was king in Deira at this time. He might be brother or uncle to Edwin of Deira. Either by invasion or some sort of power play Aethelfrith takes over Deira around 604 and Edwin flees into exile with Aethelric’s son Hereric (although Hereric is poisoned in Elmet, a British land the princes take shelter in, probably under the orders of Elmet’s king who is trying to appease Aethelfrith.) Edwin goes into extended exile in Mercia (where he marries a princess) and Gwynedd. Aethelfrith secures his position by marrying Asha, sister to Prince Edwin and in so doing uniting the two houses. The future king Oswald is born of this union. Some versions suggest that he may have already been married to Asha and took advantage of a weak king to move in. Aethelfrith may have already been married at this time to a Bebba after whom Bamburgh is named. It is unclear if she was already dead by the time he married Asha. Another possibility is that Asha is his first wife and Bebba his second. We really don’t know. Over the next decade Aethelfrith was fairly quiet and was probably consolidating the gains in land his earlier reign had brought. However, in about 614, he is again on the move and leads an army west to Chester. It appears that Edwin had not been idle and had perhaps managed to unite the Welsh kingdoms of Gwynedd and Powys, possibly with Mercia, in an alliance that now threatened Aethelfrith. The results was a battle at Chester. The only feature we know is that supposedly a large number of monks from a nearby monastery came to pray for British victory over the Northumbrian army and were slaughtered by Aethelfrith. The result of this battle was that Edwin was again on the road and trying to find allies. In around 616 he ends up in East Anglia in the court of, the then overlord of the Saxon’s, Redwald. Aethelfrith sent offers to pay Redwald if he would kill Edwin. Instead Redwald agrees to send an army with Edwin to attempt to defeat Aethelfrith. At the battle of the River Idle, in 616, Edwin is finally victorious and Aethelfrith’s luck runs out and he is slain. Edwin becomes king in Northumbria and the young Oswald flees to the north with his brothers and kin. The tables are turned and Aethelfrith’s line is now in exile for the next 16 years. 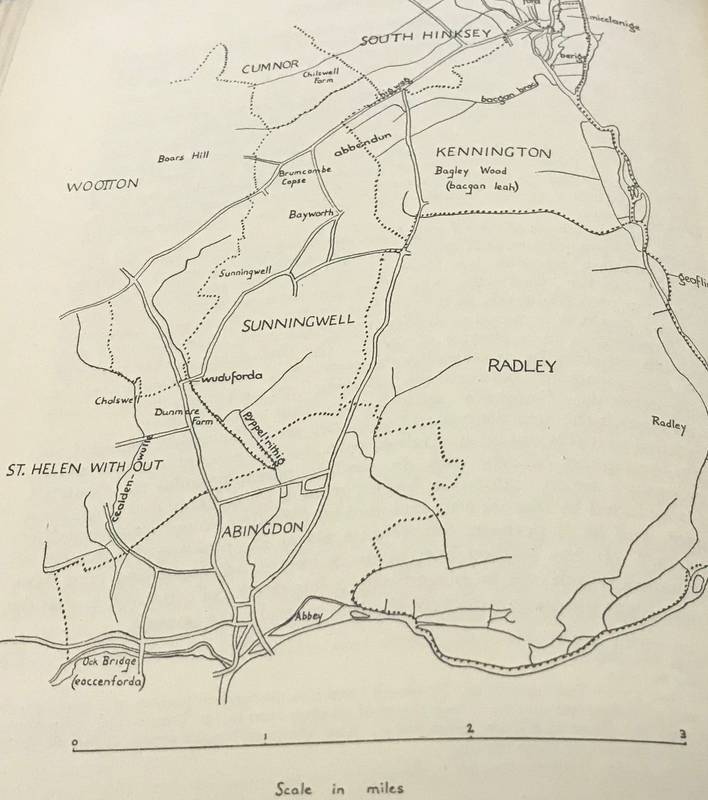 Edwin goes on to build on the foundation that Aethelfrith laid, but it is the Bernician royal line that played and would later play the largest role in the establishment of the Kingdom of Northumbria as the most powerful Saxon land in Britain and Aethelfrith must be given credit for his part. Aethelfrith and the battle of Catraeth appear in my novel The Amber Treasure . Degsastan and the Invasion of Deira occur in the sequel Child of Loki (published March 2012).